Kyle has been studying a variety of martial arts since the age of four. Shidokan and Shotokan Karate were his focus until the age of fourteen when he discovered the kicking power of Tae Kwon Do and American Kickboxing. Not long after that, Kyle also began training and competing in boxing. 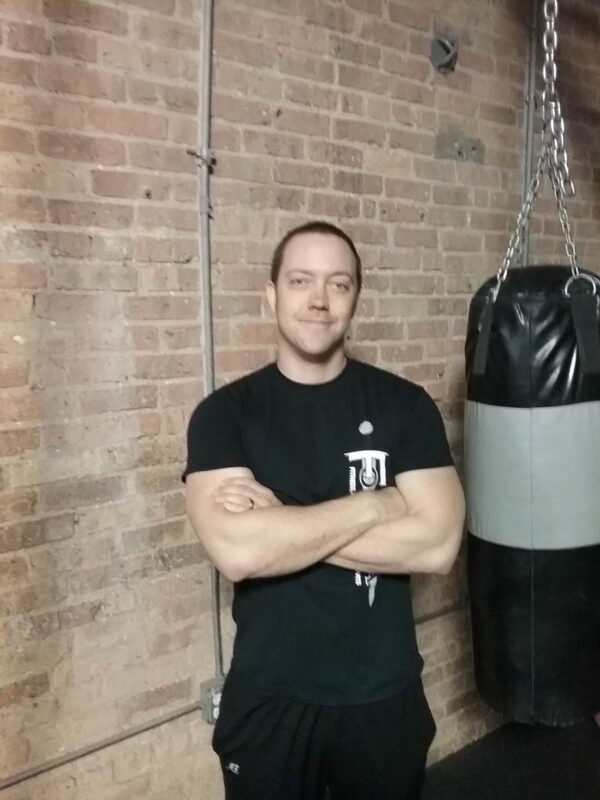 Following college, Kyle worked for 10 years in security and loss prevention, receiving training in a variety of self-defense and de-escalation techniques as well as practical application of those methods in on-the-job situations. After receiving a severe work-related back injury, he fought his way back from several herniated discs to become a personal trainer with a focus on weightlifting and interval training. He rejoined the martial arts world as a student at Chicago Muay Thai and Kickboxing where he trained mainly in traditional Muay Thai, Dutch kickboxing and MMA. 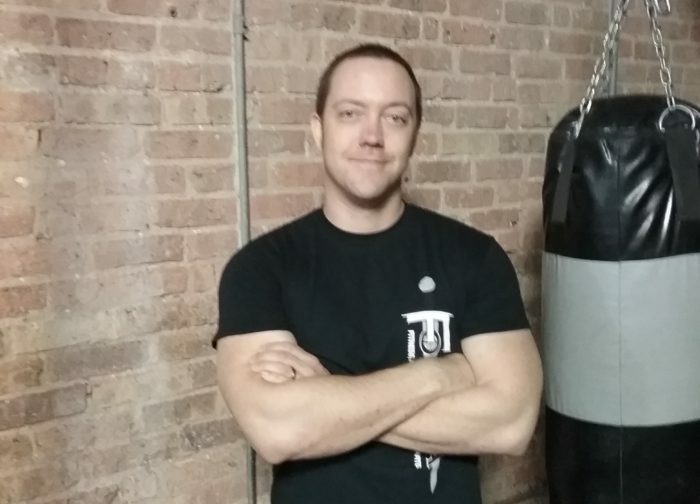 Kyle has been teaching a blended style of American and Dutch Kickboxing with Muay Thai since 2013. Outside of the martial arts world, Kyle is a freelance illustrator, photographer, painter and teacher.